Are you ready for Summer...Fun in the Sun Time!!! I am giving away a Xyron Mega Runner!!!! All you need to do is leave a comment on this post! Die cut Passport Album for chipboard. 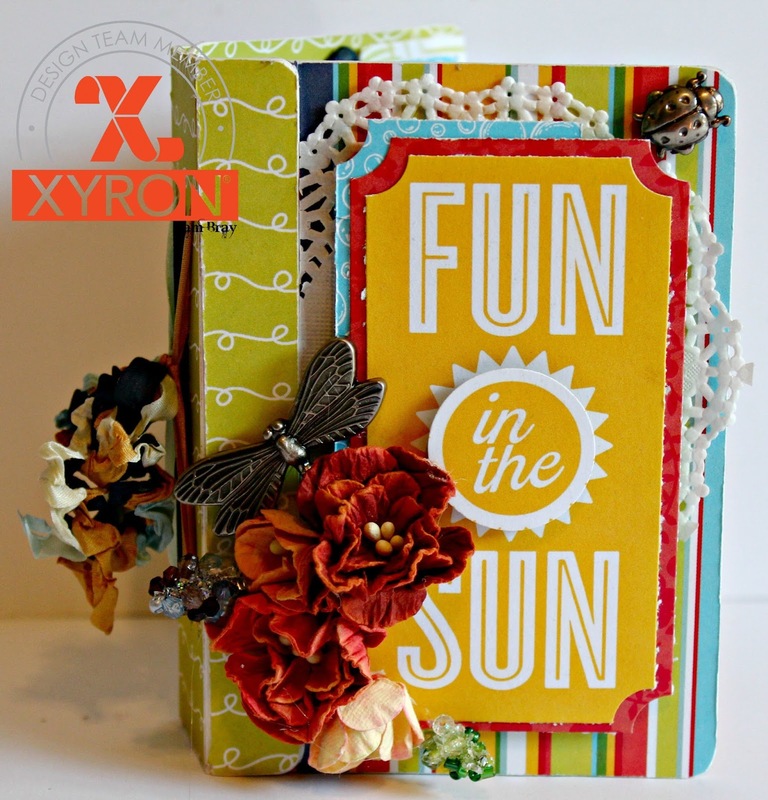 Run though Xyron Creative Station using Permanent Adhesive. Lay adhesive covers on pattern paper. Using Xacto knife remove pattern paper form around pages. Sand edges with sanding block. Repeat with inside pages using Xyron Creative Station. 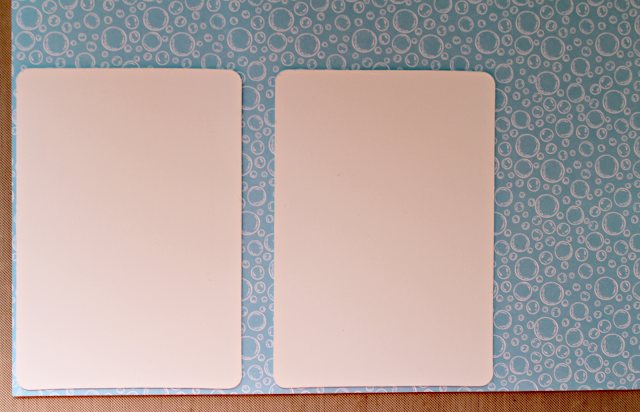 Add embellishments and journal cards to pages with Xyron Tape Runner using Permanent Adhesive. Decorate front of album with Epherema Card. Add inside pages to album. Tie with ribbon to hold into place. Add metal dragon fly and flowers to front of album. I hope you are inspired to start creating your Fun in the Sun Mini Albums, layouts, cards, etc using some of your favorite Xyron Products. to enter the contest leave a comment on my blog. make sure to check out the Xyron Facebook all week long to see other amazing projects from the Xyron Design Team...Go to each blog for extra chances to win! Gorgeous as always, Pam! I love using Xyron and the Mega Runner would be amazing to win. Thanks for the opportunity! This gorgeous Pam!! Love the ribbons holding the inside pages! l just ADORE the paper you used!!! lt is such a happy project!!! What a cute project! I've had the Passport Die for a couple of years and have never used. You've given me the inspiration I need to get it out and start making some mini albums! Thanks for sharing this project and for providing the giveaway opportunity. What a fun and detailed project! You use the Xyron products so well. They are lucky to have you on the team. Love the colors. Your album makes me want to head for the beach! Love my Xyron products. A mega runner would be awesome. Love xyron products, I just bought 9" creative station! Dont have a good tape runner tho. What an awesome project! Love your paper choices! The Tape Runner looks fabulous!